Sheila and I on the podium. We didn't win, but that doesn't mean we can't pose on the podium. In August 2014 I attended my first November Project - San Diego workout, which is a free fitness group, started by two guys in Boston in 2011. NP is now comprised of tribes in 25 cities across four time zones in the United States and Canada. I’ve written about it before, so no need to rehash on why it was one of the catalysts for change in my life in this past year, but yes it’s been wonderful meeting new people and gaining new experiences. One such experience is the feeling of being a part of a team when training and competing in various races. 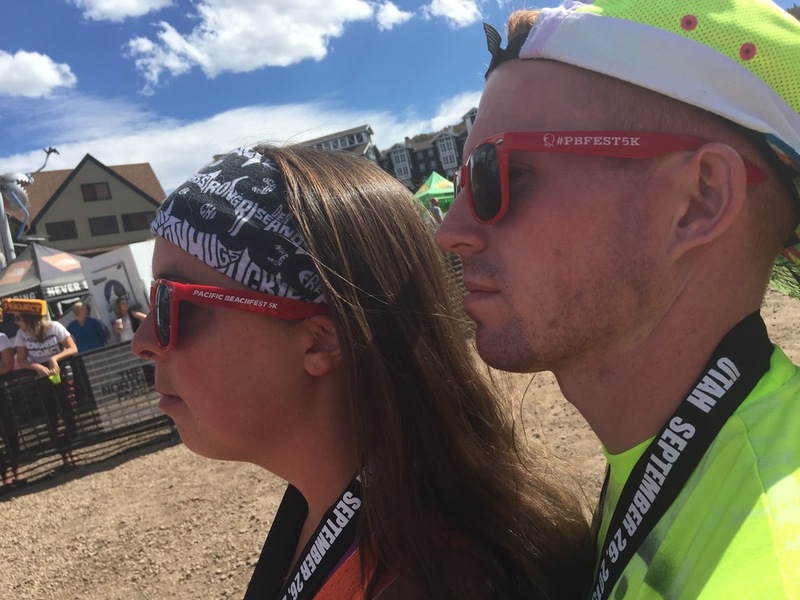 Before joining NP, I used to run races, not necessarily alone, but feeling like just another face in the crowd, another pair of legs running miles. Joining a run club/fitness group is one way to gain an immediate support system, both on and off the course. Before NP I also had never run a race outside of San Diego. 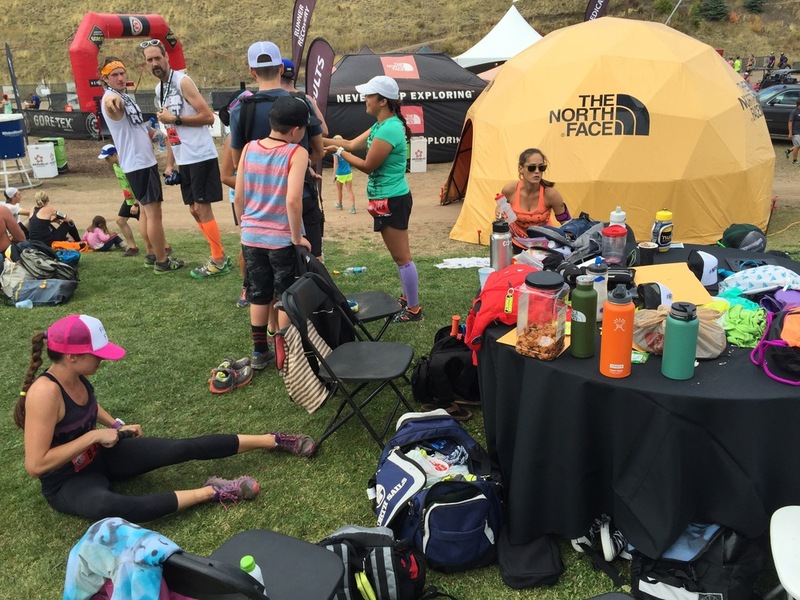 Now, in the past year, I’ve participated in the Ragnar SoCal Relay Race (Huntington Beach), Mammoth Half Marathon, Lululemon Seawheeze Half Marathon (Vancouver) and most recently the Park City, Utah stop for the North Face Endurance Challenge Series. One would think that these destination races would mean an absence of all the great things I mentioned. But it’s actually quite the opposite, because each of those trips/races has been taken with November Project - San Diego friends and meeting new NP friends at those destinations. However, none have been more bigger than the Park City Trip. This race was the designated location for November Project’s annual leadership summit. A gathering of the leaders of all the NP tribes. This alone generates more than 50 motivating and selfless individuals. Additionally, those leaders brought with them representatives from their 25 respective tribes. In total there were well over 400 … maybe 500 grassroots gear wearing people. November Project Boston poses for a group photo. Every Monday and Wednesday morning in San Diego, It’s always amazing for me to see an average estimate of 75 people showing up on early mornings to have their heart rate stretched to capacity. But to see this gathering of hundreds from all over North America was moving. At one point, after I finished my run, I was sitting in the middle of all the chaos (which in this case was smiling faces, arms hugging, legs dancing and overall euphoria). I observed all of these happy and supportive human beings and was hit with this crazy realization: This is all because two people, Brogan Graham and Bojan Mandaric, wanted to stay in shape and workout during the month of November a few years ago. Just two guys, issuing a challenge to one another and growing it into continent wide community. It’s a testament that we are never alone. That there are always people within the race and along the sidelines cheering us on. That there are hundreds of people waiting to join whatever movement you want to bring forward. And that our hopes and dreams are worth exploring, because one day they might actually amount to something. 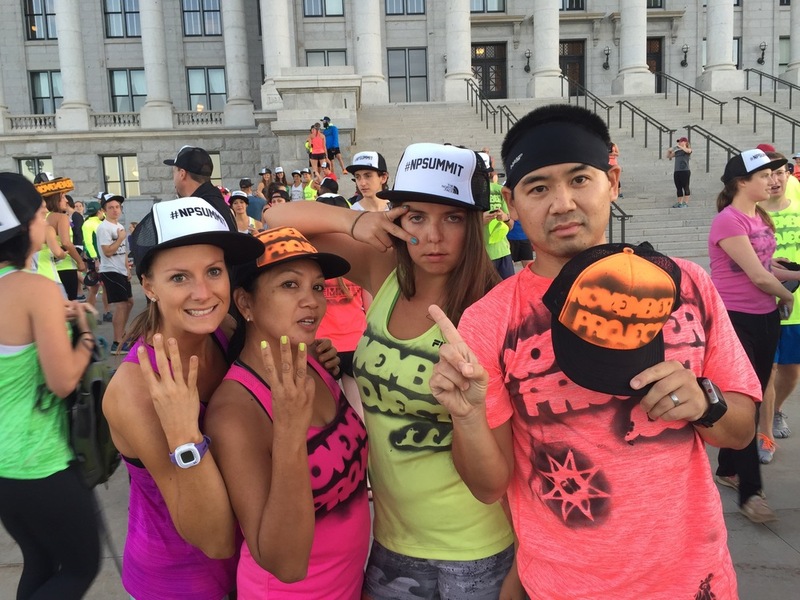 Calgary, Edmonton, British Columbia and Manitoba were representing strong in Utah. NPSD screaming in front of the Utah State Capitol. My faithful marathon relay teammates. 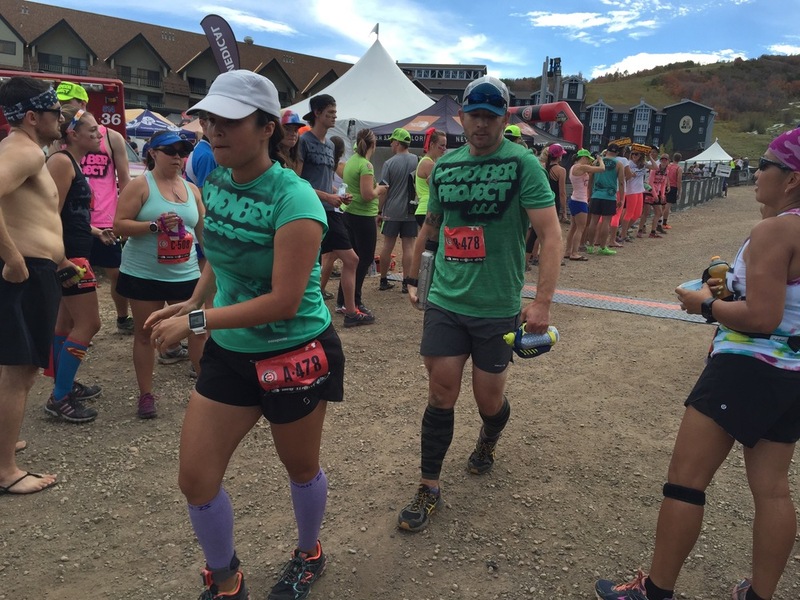 The starting area for the North Face Endurance Challenge Series - Utah. Tara from NP - Los Angeles and a face full of suncreen. Our gear check area. And Lauren's Tiger Tail rolling area. Erik to Mel for her second 6.5 miles of the day. NPSD co-leaders Lauren and Ashleigh on their way to a second place finish. 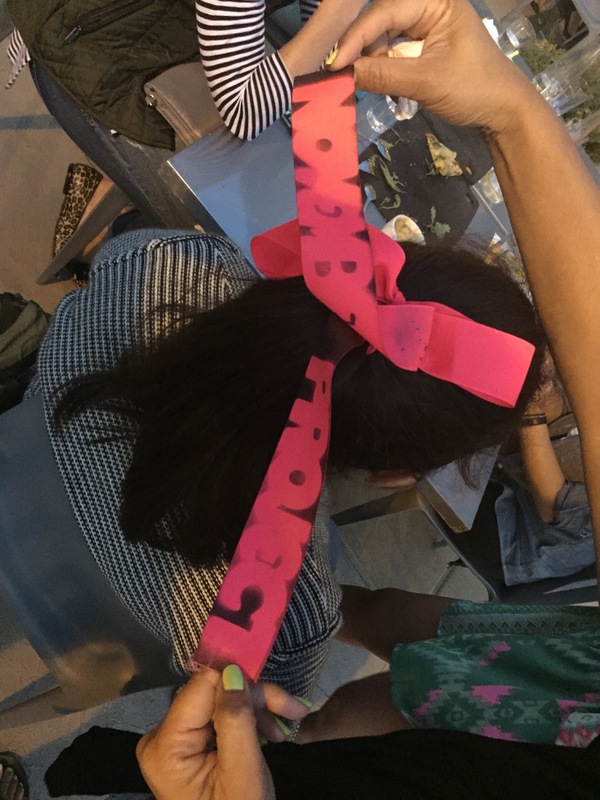 Tagged hairbows on the gals from NP - New York. Laura and NP - Virginia Beach co-leader John. Sheila poses with a couple of NP - Milwaukee cheeseheads ... I'm assuming Milwaukee.